- Docking at the Heritage Quay, Downtown St. John's, Beyond St. John's, To See and Do. Antigua is one of the most popular destinations in the Eastern Caribbean cruise itineraries. Most cruise lines visit the island all year round although the peak season is between November and May. Thanks to the diversity of its charms that range from paradisaical beaches, easiness to explore on your own, natural beauty and historical landmarks, Antigua appeals to visitors that travel on cruise lines as different as Carnival and Seabourn, Norwegian and Crystal, Royal Caribbean and Silversea, Princess and Regent. 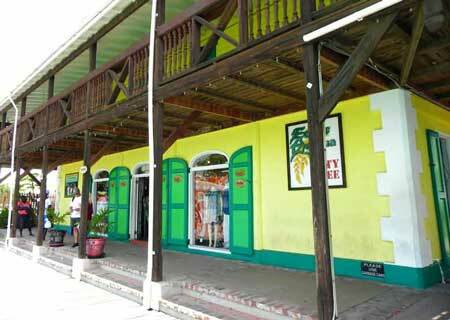 Nelson's Dockyard, Shirley Heights, Betty's Hope Plantation and Devil's Bridge are top highlights in Antigua. St. John's also have a few interesting historical landmarks and the beaches are a must-do. The beaches of Antigua are as stunning as numerous - in fact, the island proclaims to have as many beaches as there are days in the year. On these beaches the sugar-white sand blends with clear turquoise clear waters in idyllic settings backed by resorts, restaurants, grills, and bars offering all kinds of water-sports and activities. Even more tempting, the cruise traveler can easily take a taxi at a very affordable cost to any of these beautiful beaches. Cruise ships dock on a beautiful bay in the port known as Heritage Quay which has two piers perpendicular to the city of St John's (the Capital of Antigua). The exit gates of the piers are less than 500 feet (150 meters) from the ship's gangway. This is where security will check your boarding pass on your return. During peak season, as many as 4 ships may dock in Antigua but this doesn't happen regularly. 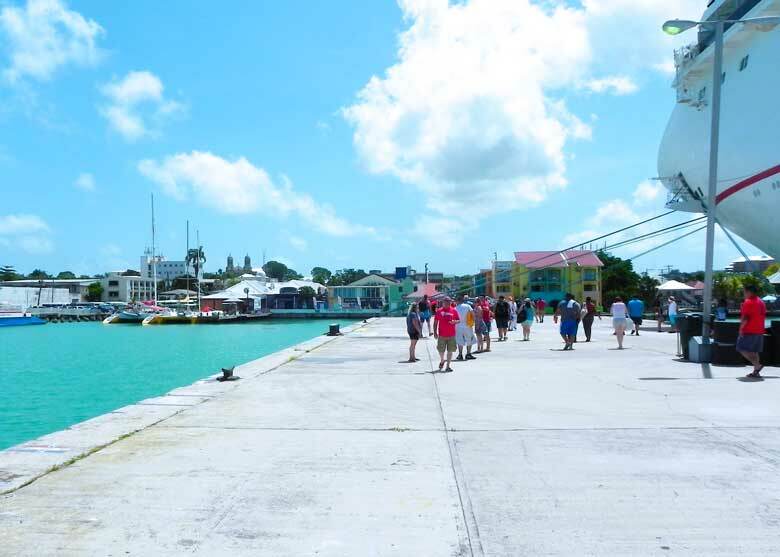 Because cruise ships dock at Heritage Quay, at no more than 5-minutes-walk from the piers to downtown St. John's, the landmarks, and attractions of Antigua's main city and capital are easy to reach on foot and comfortable to explore on your own. Once passed the exit gates, the cruise traveler will be on a large open-air terminal known as Heritage Quay but many do not realize that close by there is a very quaint spot to explore - the Redcliff Quay. Heritage Quay, with over 30 prestigious duty-free shops, a food court, and a casino, is itself an attraction for many a cruise traveler. For those that love shopping when cruising the Caribbean, this is one the places to exercise your bargaining skills in stores such as the ubiquitous Diamonds International, Tanzanite International or Colombian Emeralds but also others like the Body Shop, Sunglass Hut and Goldsmiths. To the right (facing St. Johns) the cruise traveler shouldn't miss a visit to the Redcliff Quay which is connected to the Heritage Quay by a boardwalk along the south shore of the deep-water harbor. Redcliff Quay (a quaint and very neat spot in St. John's) is a must-see, particularly if you like to taste local flavors. Besides a good number of handicraft shops (and higher-end ones) ideal to buy gifts and souvenirs, there are a handful of cafes, bars, and restaurants to enjoy Caribbean delicacies but also Belgian waffles, a Pizza, a glass of wine or just a bottle of Wadadli (the local beer). Getting around Antigua is easy, affordable and considering that English is the official language communicating couldn't be more straight forward. The local population is very friendly and not pushy. In fact, unless you ask locals for directions the residents of St John's will not approach the cruise traveler. The cruise terminal is right by St. John's and therefore there isn't a shuttle bus as all the historical landmarks of the city are within walking distance. More about Downtown St John's below. In the Heritage Quay Terminal, the cruise traveler will find a Taxi Dispatch Kiosk with official taxi rates. Prices are reasonable and taxis are the best way to go to any of the fabulous beaches in Antigua. Most taxi-drivers are reasonably good guides as well and, considering the size of the island, can take you to most highlights in a half-day tour. Although drivers are required to show a rate card (fares are officially fixed), make sure you agree on a fare before entering the taxi. For a half-day tour, you shouldn't be paying more US$ 120 (for the taxi with as many as 4 passengers). Renting a car is not the best solution unless you are familiar with driving on the left and are willing to discover your way around as roads are poorly signed. Besides, a temporary driving license will be imposed ($20) in addition to a minimum of $50 for a one-day rental. Outside the Heritage and Redcliff Quays, you will find yourself in downtown St. John's. This small town (with around 30,000 souls) has a charm of its own and safe to walk around and explore on your own. Locals go about their business and will not harassing visitors but if you need any help with directions they are very friendly. 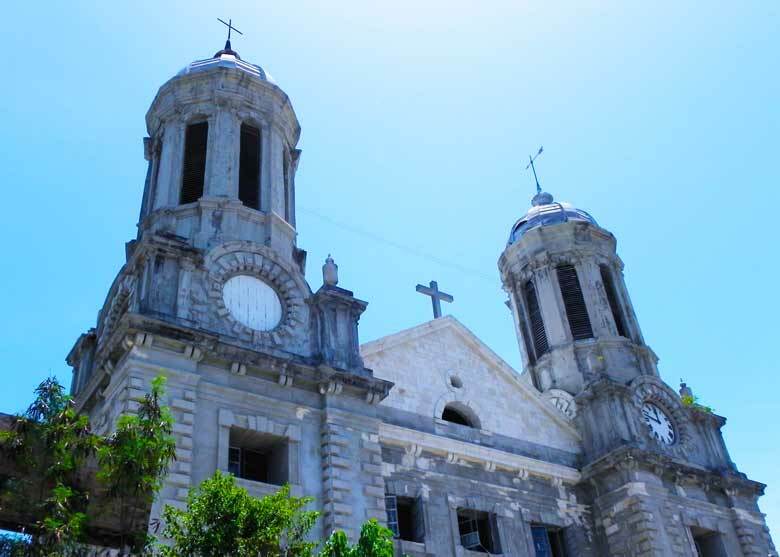 Within walking distance, less than 10-minute walk from the pier, the Anglican St. John's Cathedral is a must-see, which has been under restoration for some time. As you sail into St. John's the magnificent towers dominated the skyline and you will see these baroque structures as you walk around. Close by, on the corner of Market and Long Streets, the old courthouse (dating back to 1750) is now occupied by the small but interesting Museum of Antigua and Barbuda. 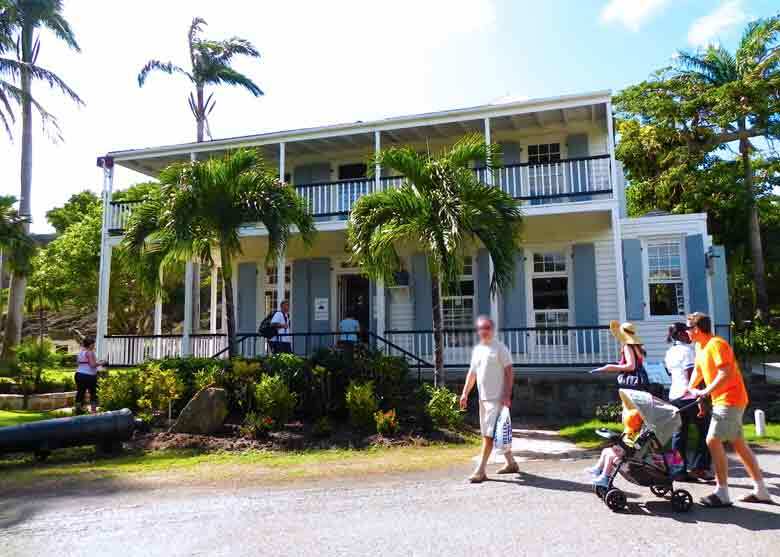 Walking the main streets of St. John's, the cruise traveler will not miss imposing buildings such as the Ebenezer Methodist Church on St. Mary's Street, and numerous banks with well-known international names. But you will need to walk to the end of Market Street (to the south) if you would like to explore a typical West Indian Public Market with its colorful stalls and lively bargaining. Heritage Quay (next to Piers) and Redcliff Quay (300 meters from Piers - on the right). Open between 9:00 am and 5:00 pm. Best buys: Jewelery, Watches, Souvenirs. St. John's Public Market. 1/2 mile from port at the end of Market Street. Open between 7:00 am and 6:00pm. Catholic - St. Michael's Mount Church in downtown St. John. 0.7 miles (1 kilometer) from Pier/Terminal. Taxi Fare: US$ 6.00 (one way).| Ebenezer Methodist Church - St. Mary's Street. Hemingway's (in Town) on St. Mary's Street; Big Banana, C&C Wine House and Napoleon on Redcliff Quay. Antigua's famous beer, Wadadli (Carib name for the Island), English Harbor 5 Year Old Antigua Rum and Cavalier Rum. Fungi and Steam Fish (local delicacy). Conch Fritters, Chicken Stew, Papaya Pie, Lobster and Fresh Fish. Dive in the amazing waters close to Falmouth Harbor | Sail aboard a catamaran | Discover coves, seclude beaches and uninhabited islands by kayak. Embark on a hiking adventure on different possible trails from Freeman's Bay up to Shirley Heights - exotic plants, spectacular vistas and lush vegetation. There are two golf courses in Antigua. 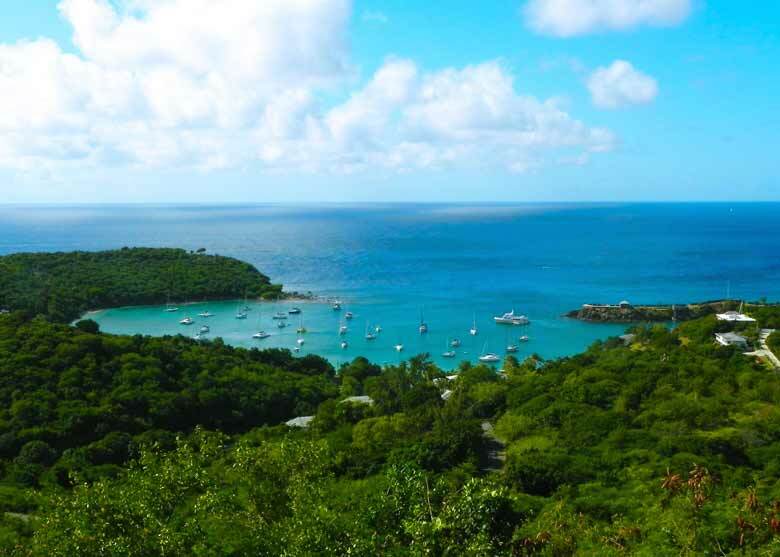 Cedar Valley Golf Club ( 18-hole, 70-par course, 3 miles north of St. John’s) | Jolly Harbor Golf Club (18-hole, 71-par course, East end of Antigua). Half Moon Bay, Nonsuch Bay, Dickenson Bay, Halcyon Cove, Buccaneer Cove, Darkwood Beach. 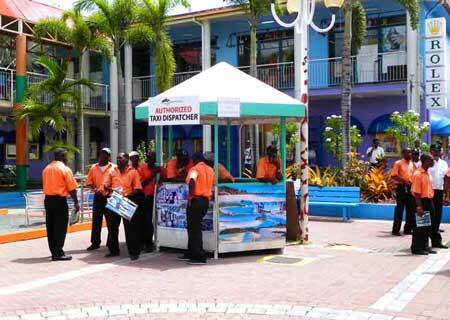 As the cruise traveler exits the gated pier, Tourist Booth with maps and basic info. 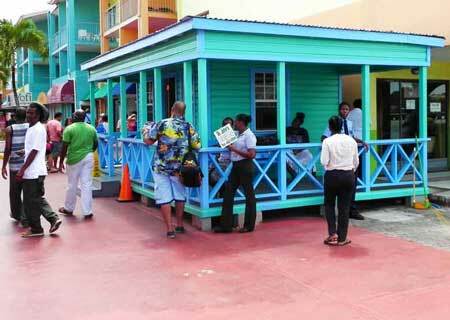 On Heritage Quay, official taxi rates to explore Antigua on your own. A display of the 19th century British Naval power under Lord Nelson. 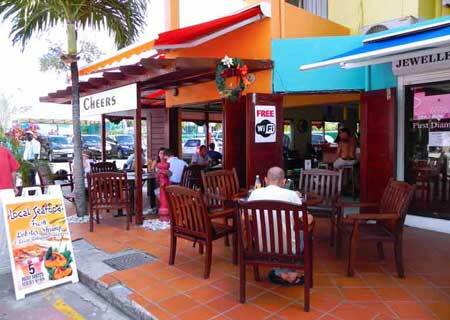 Wonderful spot to taste local delicacies: Conch Fritters and Waddle beer pair perfectly. 30.000 - one third of the Island's total. Small Desk just outside the Pier Gate, on the right. Valid Passport IS required for citizens of the United States, United Kingdom and Canada. A valid photo ID (such as a driver's license) is required to enter the Piers. Cruise ship visitors are not required a visa provided that they arrive in the morning and depart the same evening. The Eastern Caribbean dollar (EC$) is the official currency. However, U.S. dollars, traveler's checks and credit cards are widely accepted. On the main streets in Town - 5 to 10 minute walk from Pier. 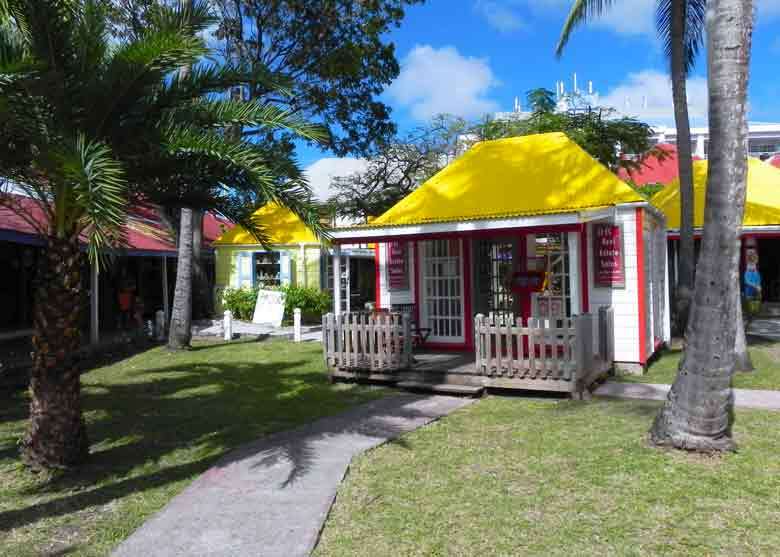 Lower High Street - open 8:00 am to 3:00pm | There is also a Post Office in Nelson’s Dockyard. Most Cafes and Restaurants on both Heritage and Redcliff Quays. Country Code: 1-268. Many US phones may work but is advisable to check with your provider to avoid roaming charges. Standard American 120 V current but also 110 V in resorts. Legal drinking age is 16 years. Smoking is prohibited in public buildings but may be allowed in bars and restaurants outdoors. St. John's Pharmacy - right outside the Heritage Quay at the start of St. Mary's Street. Mount St. John’s Medical Centre - Queen Elisabeth Highway 10-minute drive from Pier. One of the nicest aspects of calling on a cruise to this island is that St. Thomas is both safe and very easy to explore. If you wish to explore the island on your own Taxis are fairly priced and can literally take the cruise ship traveler to all highlights, beaches, main sites and attractions. St. Kitts Island and its port - Port Zante (as it is officially named) - has become in the last years one of the most popular and loved cruise port destinations in the Caribbean Eastern Itineraries. The natural beauty of St. Martin starts at Cruise Terminal, transportation to all top attractions is around the corner and affordable. 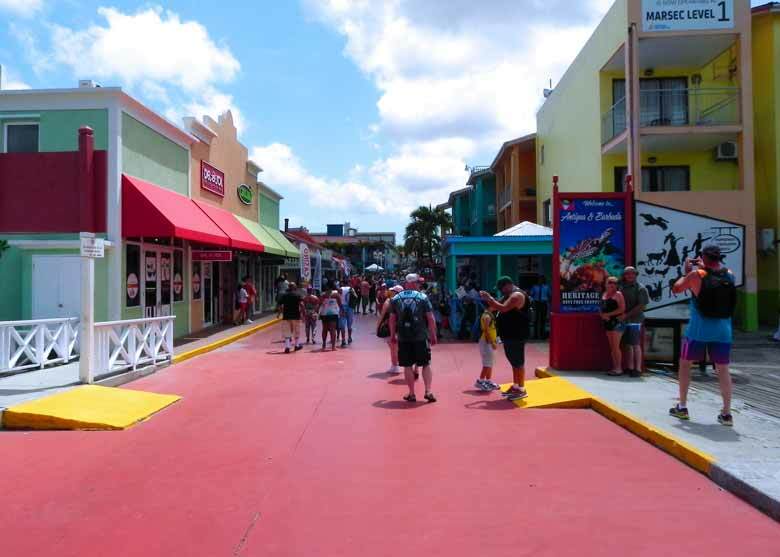 Philipsburg beach, shopping and restaurants shouldn't be missed. 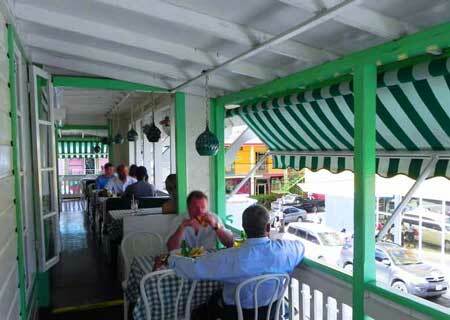 Cruise travelers visiting St. Lucia always find something exciting to do and see. The beaches are stunning. Natural attractions such as the Sulfur Springs (a drive-in dormant volcano), the Diamond Falls, or the National Rain Forest are sites not to be missed. Horseback riding, sailing, scuba diving, snorkeling or jet skiing are just a few of the many thrilling activities to be experienced. 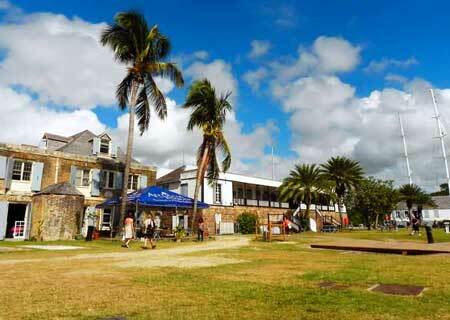 Barbados and its cruise port close by Bridgetown is one of the most interesting destinations in the Eastern Caribbean. The rich cultural past of the island is preserved in an exotic mix of quaint tropical ambiance, lush landscapes, beautiful landmarks and stunning beaches. With close to 5 million passengers per year the Cruise Port of Miami is the busiest in the World. Located next to Downtown Miami, disembarking/embarking can be far from smooth and at times frustrating when up to 8 mega-ships dock at its massive terminals. It is advisable to confirm details with local tourist information before planning your cruise, tour or excursion of Antigua.